BevNET is delighted to announce the return of a premium natural channel strategic thinker to the BevNET Live event, as well as the addition of a brand building expert who can help entrepreneurial brands think about large-scale growth plans. Rick Zimmerman, the senior VP of marketing and innovation at Sunny Delight Beverage Co., will be leading a breakout session on how brands can mix distribution and retail channels to suit their size, from small-scale operations to larger national accounts. With responsibility for six different brands under the Sunny Delight umbrella — including marketing, brand development and R&D for acquired brands Bossa Nova and Fruit2O, as well as the core Sunny D label, Zimmerman is an expert at finding the appropriate distribution and retail paths to market for a variety of beverages. 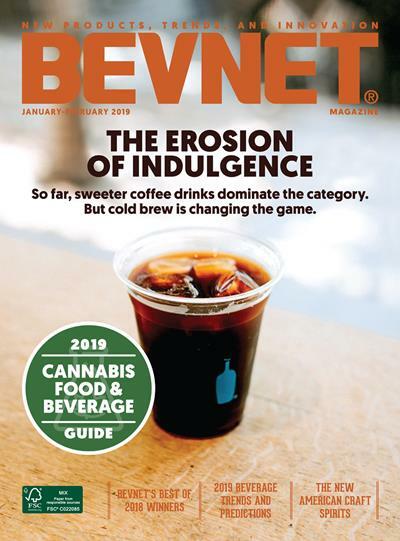 Also rejoining the BevNET Live program is retailing and brand development expert Perry Abbenante, the former senior global grocery director for Whole Foods. Abbenante, who offered his advice and enthusiasm for the beverage category during a variety of presentations during the last BevNET Live in Santa Monica, will be taking part in a key panel on the characteristics of authentic beverage brands, as well as participating in a breakout session that will help new brands understand and navigate the natural and specialty retail channels. Now VP of Marketing with the Snack Factory, owned by VMG Partners, Abbenante is following a parallel track to the beverage industry by helping grow the entrepreneurial snack brand Pretzel Crisps. With just over a month to go before the event, seats are filling fast — and there is no doubt that the unique expertise offered by Abbenante and Zimmerman will help attendees understand many of the key steps to growing up and out into new retail environments. BevNET Live will return to the Loew’s Santa Monica Beach Hotel in Santa Monica on Dec. 5 and 6, 2011. 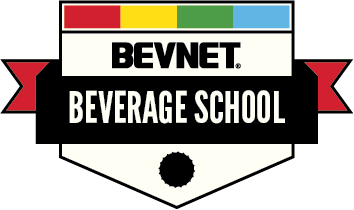 Over the course of the two-day event, BevNET Live provides presentations from leading beverage executives, in-depth breakout sessions, a “mini-expo” of supplier and beverage exhibits, and ample networking time. The conference is attended by entrepreneurs, suppliers, distributors, retailers, investors and others who are interested in the cutting edge of the beverage business. Perry Abbenante is the Vice President of Marketing for Snack Factory LLC and is responsible for marketing, advertising, packaging and channel strategy for the Pretzel Crisps brand, which is part of the VMG Partners portfolio of brands. He has over 13 years of procurement and marketing experience in the food industry. Prior to his current role at Snack Factory he held a number of senior positions at Whole Foods Market including Senior Global Grocery Director, Director of Exclusive Brands and piloted a vendor innovation program that guided the product innovation process from inception to activation with dozens of companies including Coke, Pepsi and Kraft. Rick Zimmerman is the Senior Vice President of Marketing & Innovation at Sunny Delight Beverages Co., with Profit/Loss responsibility for the North America SunnyD brand business, as well as Functional responsibility for the Marketing and Research & Development departments. Zimmerman joined Sunny Delight Beverages Co. as a founding member of the Management Team in 2004, when it acquired the SunnyD brand from Procter & Gamble. 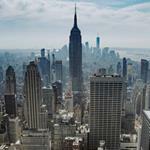 He joined SunnyD in 2001 as Marketing Director for Juice Products at Procter & Gamble. Rick began his P&G career in 1980 in Brand Management, and rose through a variety of assignments, both domestic and international, including Head & Shoulders shampoo, Crush/Hires/SunDrop carbonated soft drinks, Fisher Nuts, Pringles snacks, Folgers coffee, Global Snacks & Beverages New Business Development, and Sunny Delight. Prior to P&G, he worked in broadcasting in Los Angeles. A native of New York City, Zimmerman earned his MBA in Finance from the Wharton School, University of Pennsylvania, and received his undergraduate degree in Earth Sciences from Dartmouth College. Rick serves on the Board of Directors of Reading is Fundamental, a non-profit based in Washington, DC, and on the Advisory Board of Alternate Solutions Homecare, a health care company based in Dayton, OH.